Metal fabrication, metal bending machine shop Atlanta, GA,Machining Services Inc.
We take great pride in our industry-leading custom steel fabrication and metal fabrication service. This is the core of our business, and is a process we take seriously. Machining Services, Inc. has been a machine shop and metal fabricator near Atlanta, GA for 25 years. We work on small, large, and heavy components. Our team of experts provide our customers with turnkey precision metal fabrication services. Our fabrication service includes: laser cutting, metal bending, forming, and machining, TIG/MIG welding, assembly and finishing. Our customers should know that from the moment a job goes into production until the time it is shipped, Machining Services Inc is a fabricator who exercises complete control over every operation in the fabrication process. Moreover, in accordance with our ISO 9001:2008/AS9100 quality procedures, there is total traceability of, and accountability for, every job we have in production. Our investment in leading-edge metal fabrication technology and best-in-class production management systems allows us consistently to deliver superior quality oem parts and outstanding value. At our machine shop near Atlanta, GA, we leverage our years of collective experience to provide metal fabrication service that exhibits an outstanding level of quality and reliability. We have the resources to manage steel fabrication projects with exceptional efficiency. Our workforce has a diverse range of technical skills and excellent work ethic, allowing us to meet the needs of a broad range of industries including: aerospace, medical, electronics, military, and many more. We have the flexibility to accommodate any size fabrication project, from high-mix, low volume to long and continuous production runs. 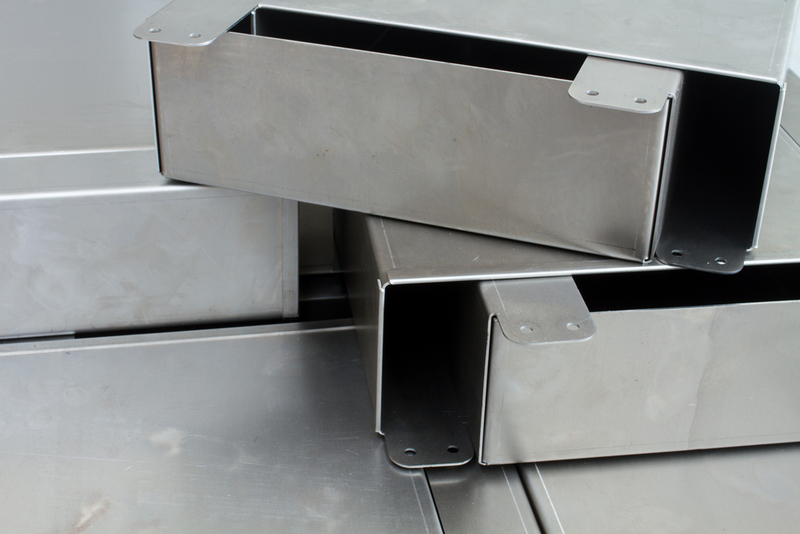 We are committed to providing quality metal fabrication that conforms to your design requirements and specifications. Let us be your single source for your assembly and sub-assembly needs. Contact Us early and we will help you spend your money wisely. Max (Press Brake): 7 Gauge Mild Steel x 8 FT.